With its phased guitars, the breezy pop of He Said, I Said does nod back towards the 60s, but although the duo aim to expand your mind they also want to warp it through time and space, so along with fuzz guitars, eastern drones and Mellotrons, Lewis constructs a kaleidoscopic mix of modern and vintage samples. His father was an amateur audio tape enthusiast and his collection, which ranges from field recordings to stereo demonstration records, yields some of the musical material here. Musically this collaboration has few obvious peers, although Grasscut’s evocation of different historical eras and geographical zones on Everyone Was A Bird comes to mind. Lewis’ arrangements are inspired and although the songs are full of shifting textural detail they never become overloaded. All these elements come together brilliantly on Night Of A 1000 Hours, which is set to the steady rhythm of a clock mechanism. On it Dyble rues her insomnia, while a drowsy organ theme meanders along in the background punctuated by jazz piano, together with glissandi on piano strings and disembodied voices mirroring the protagonist’s unwanted mental activity. Treasure starts off with Lewis’ acoustic strum and echoed electric slide guitar that sounds like it’s drifted in from an early Floyd tune. The song speeds up, inadvertently hijacks some organ lines from the Spencer Davis Group’s I’m A Man, and ends up with heavily reverbed vocal chorales. 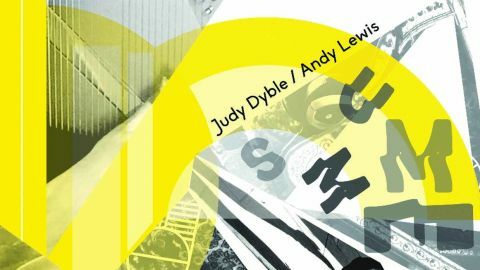 Dyble’s light, airy voice and precise enunciation epitomised a certain 60s approach to singing, and on the lengthy London she evokes the sense of freewheeling grooviness associated with the city back then, while also describing the joy of escaping from its pull. The song is built on some lovely chord changes, with urban sounds including a traffic news bulletin and some blurry brass samples that seem to be struggling to play Downtown, Tony Hatch’s paean to the big city.